An abandoned sweater attempt – this is almost a whole body! I know I abandoned this one awhile ago because there were no needles in it – I think I’d decided that I didn’t have enough yarn. This one was a bit of a pain to rip out because it’s striped every 2 rows. I don’t even know what this is, but it was stuffed into a bag! 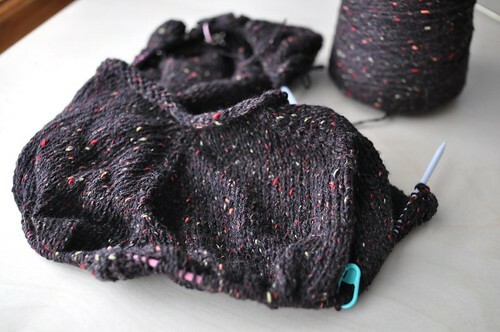 Maybe a swatch, I’m pretty sure the yarn is Cascade 220 – but why did I leave just a cast-on on the needles? I’ll never know. Ripped! 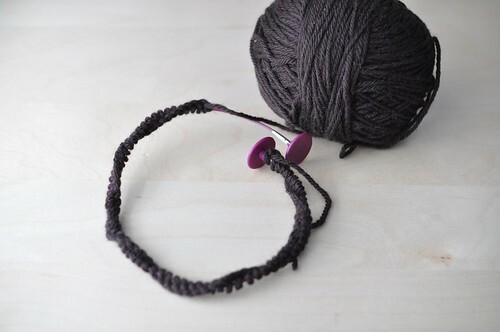 This is a pretty yarn that deserves to be something! 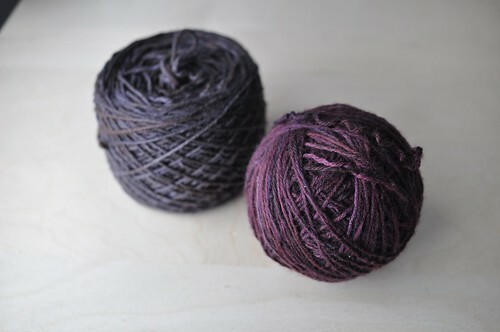 It’s 100% cashmere tweed from ColourmartUK – the beginnings of a top-down sweater. I only have 2 cones so it might be a bit tight on yardage, but I might try again. I didn’t pre-wash the coned yarn, but the knitted fabric is way soft! I’m also trying to work through a bit of my spinning stash. Here’s some Into the Whirled merino/silk. 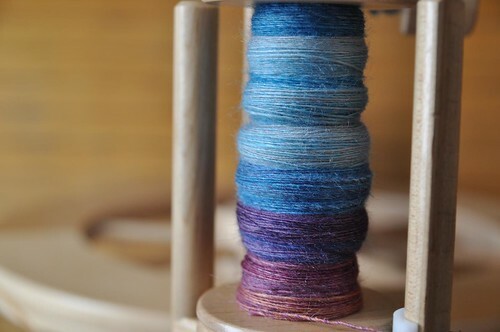 I’m not having much patience with spinning though, so it’s a bit fast and loose. Pretty still! What pattern were you using for the ripped out sweater? It looks like a modified brioche? Slip every other stitch and stripe every row? It’s a shame you ran out of yarn for the first jumper, it’s a lovely stitch pattern; maybe it should be a baby cardigan or a cowl or even a tank top, it’s too pretty to entirely abandon the concept I hope. 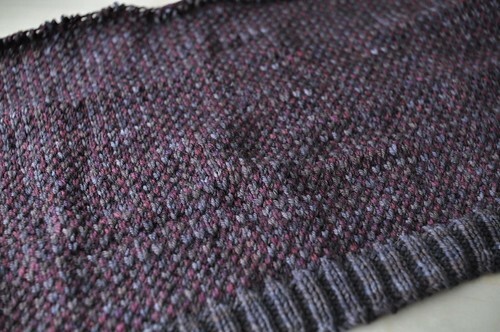 It’s eye of partridge stitch (often used for heel flaps), with the yarn striped every 2 rows. It’s liberating, isn’t it? I just frogged two pairs of socks that I had finished past the heels but weren’t turning out like I wanted. 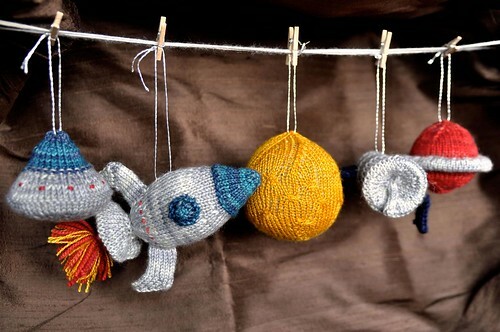 I hated them and wasn’t going to finish them so I liberated the yarn and the needles! Wheeeeee.